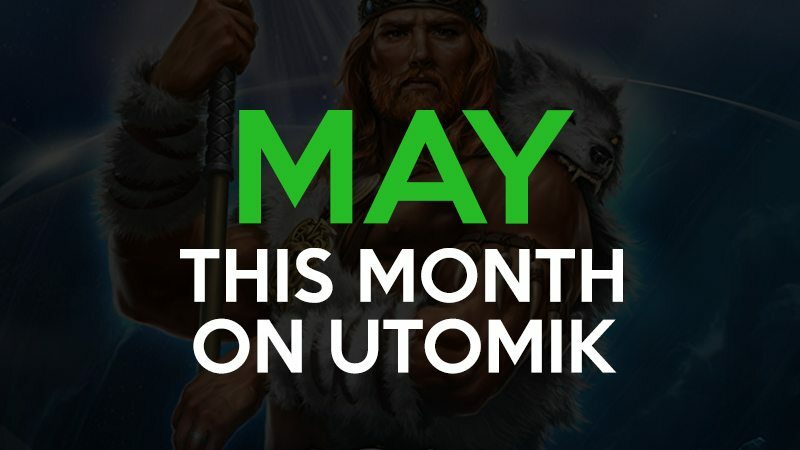 Justin Timberlake knows that May is a month to be celebrate, and at Utomik, May is full of streams, giveaways, and new games! Check out the schedule below, and be sure not to miss all the fun. We love giving away goodies! Be sure to tune in to two very exciting streams for some special treats...and who knows, maybe there'll be surprise giveaway in the other streams. Tune in to find out! Star Wars holds a special place in our hearts, so on May 4th, we hope the Force is with you as we give away a Star Wars shirt. King's Bounty is a classic series that influenced numerous turn-based titles. We'll be giving away some goodies! 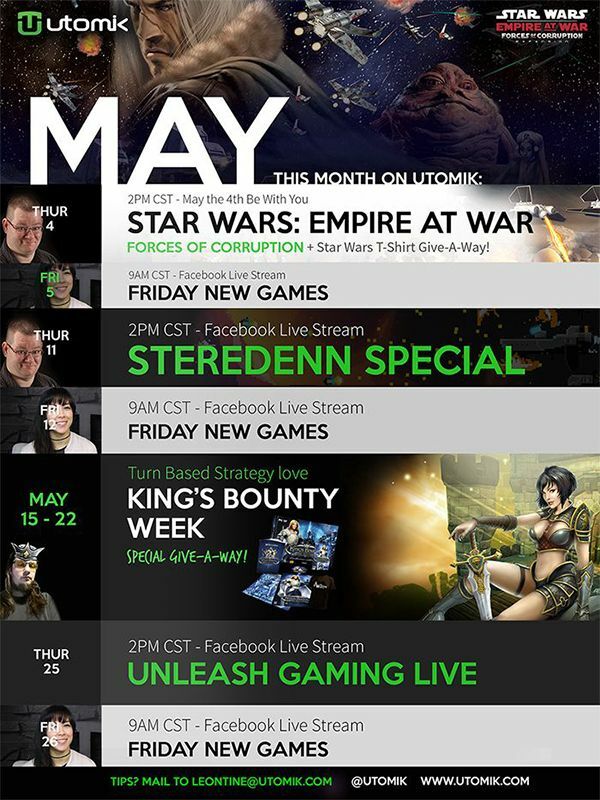 Follow us on Facebook to receive notifications when these streams go live!